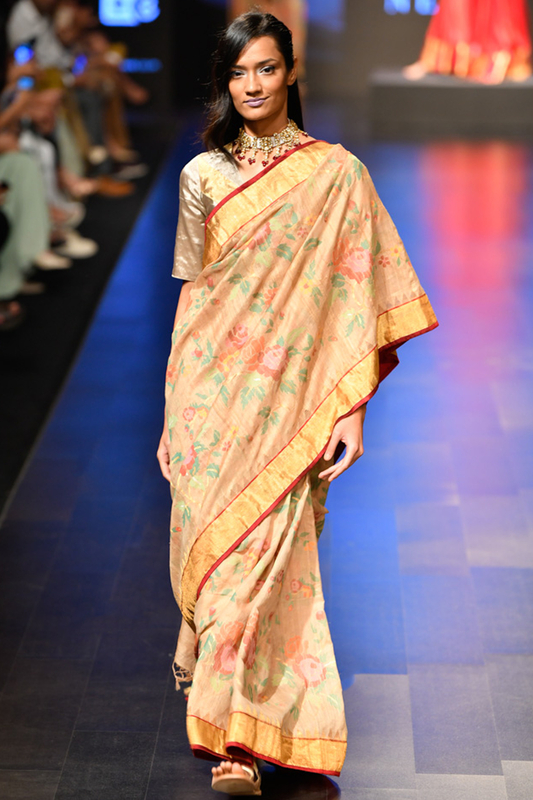 Beige Khadi sari by Sailesh Singhania at AASHNI+CO. Sailesh Singhania brings weaves that enchants your senses highlighting a beige khadi sari hanwoven with floral motifs paired with a chevron blouse. Style the look with kundan studs and choker.